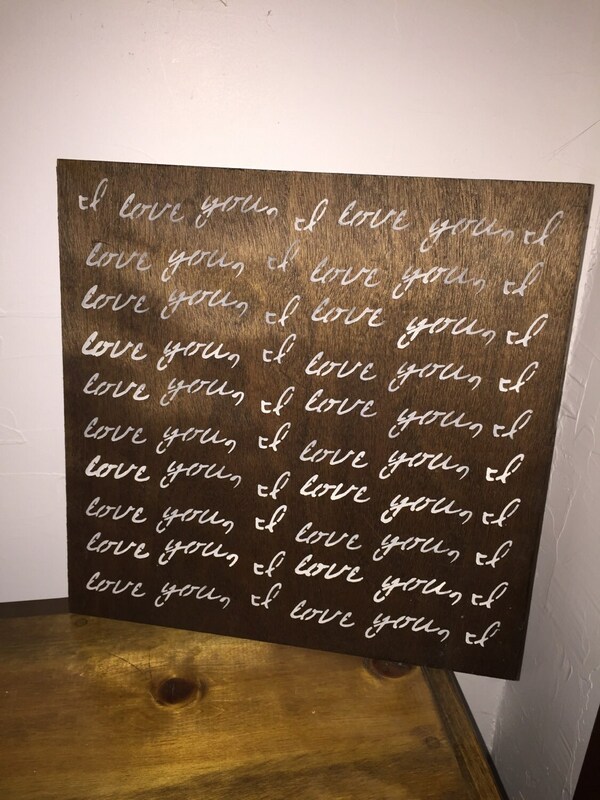 I love you, I love you, I love you rustic wood sign. All the wood I use has slight imperfection, from small kicks, knots, or knot holes! I don't try to cover any imperfections up, it just adds to the rustic charm! Color is off white that has been distressed with light coat of dark wax on it to age it. 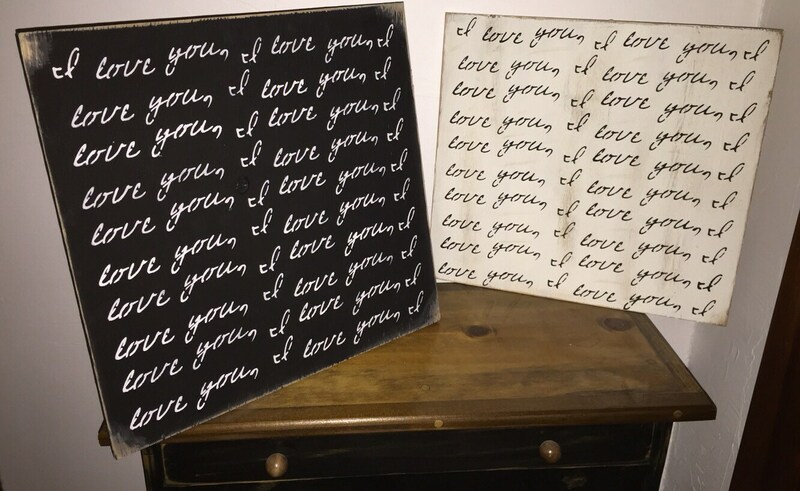 Great for your bedroom, kids room, or at a wedding!